Good news to all Metro Manila workers! 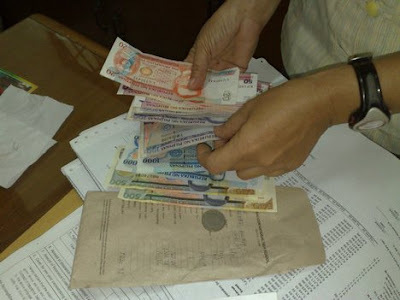 According to the National Capital Region’s wage board, the additional P30 pesos cost of living allowance (COLA) has been approved. But NCR Director Alan Macaraya explains together with Tripartite Wages and Productivity Board that the additional P30 COLA will be implemented in two tranches. NCR Director Macaraya said, "the first tranche of P20 pesos will be implemented 15 days after they publish the new order while the remaining P10 will follow 6 months after." And with this additional COLA, all NCR workers will get an increase of P900 per month. While the previous cost of living allowance of P22 pesos will be integrated into the basic pay, so the daily minimum wage will increase from P400 to P426 in Metro Manila. If we total the basic minimum wage plus the additional P900 COLA per month, the NCR workers must get around P13k a month (note: this is only a sample computation and not the actual numbers). Comments or suggestions about "Additional P30 COLA for NCR workers approved" is important to us, you may share it by using the comment box below.